eRAD24R 63" Slimline Infared Heater utilizes invisible “Far-Infrared” wavelengths. 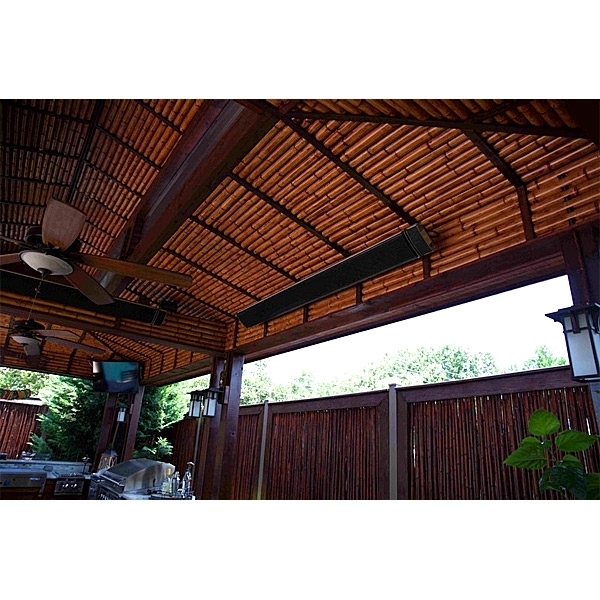 This radiant heat panel is designed to heat areas that typical heating solutions would find difficult to heat. Infrared heaters are ideal for balconies, terraces, patios, gazebos, restaurants, bars, sun rooms, warehouses, and many other settings. eRAD heaters provide even heating across the area they cover. Imagine the feeling you get sitting outside on a sunny day, or the feeling of being snuggled under your favorite blanket. Rated to IPX4 Standard (safe from splashing water, but not waterproof), these heaters are perfect for covered patios and gazebos. Comes equipped with a small handheld remote control to control the power, the different heat settings and also a timer function with preset settings of 2,4,8 hours. The heater is also compatible with third party home automation systems. Includes the heater, manual, remote control and adjustable wall/ceiling mounting brackets. The only assembly required is attaching the mounting brackets to the back of heater and then attaching the heater to a ceiling or wall. A licensed electrician should be consulted during installation. 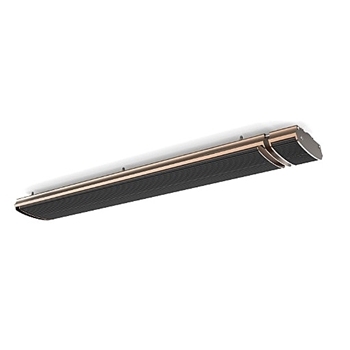 Unlike gas or propane heaters, eRAD infrared radiant heaters generate heat directly. They have significantly lower operating costs and a broader coverage area. 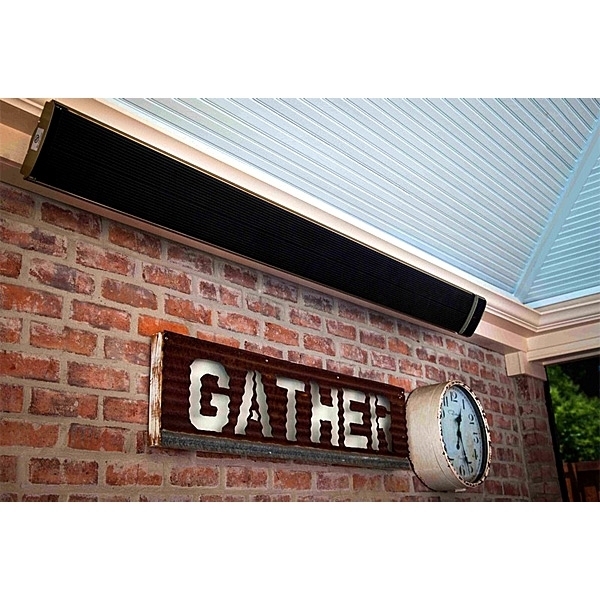 Unlike “mushroom-type” patio heaters, eRAD infrared heaters spread the heat more evenly and require less maintenance due to not requiring the consumer to replace propane canisters. They also emit no smell or noise, because they operate with electricity (110-220V). 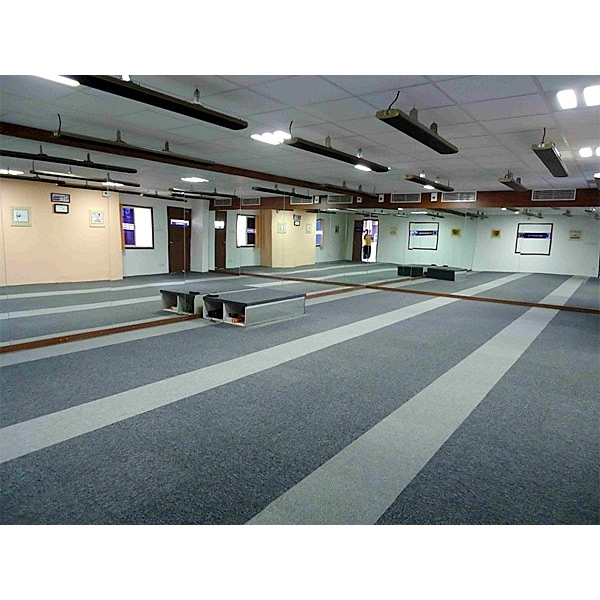 One of the best features of eRAD heaters is thier energy efficient. The hourly cost to run the heater depends on the local pricing of your electric provider, the power(watts) the unit uses and amount of time(hours) you use the unit. Example: a 2400W unit being used for 4 hours at a per kilowatt hour cost of 13 cents(kwh) is $1.25/day. You combine the low cost, the fact that it gives off no odor and the sophisticated look of the unit and you have a great addition to your home. Add to that our heaters’ ability to self-regulate electrical intake; storing heat within the ceramic plates (not drawing any additional electrical intake until the unit needs it) allows our heaters to operate with almost 100% efficiency. Dimensions: 62.5" x 7" x 2.5"
** A licensed electrician should be consulted during installation.